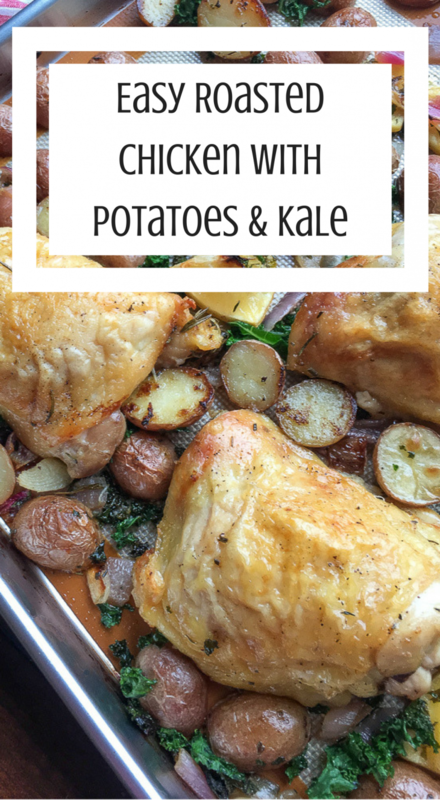 This Easy Oven Roasted Chicken with Red Potatoes & Kale Recipe originally called for chicken thighs (and that is what is pictured), but to keep to the 4 freestyle points I simply replace the chicken thighs with chicken breasts, which is even better, in my opinion. I’ve recently dipped my toes back into the Weight Watchers water. I’m finding their freestyle plan much easier to follow than previous plans. This is when it helps living in the land of no restaurant options and hating to go to the store. I basically load the house up with zero to three or four point food and that’s what I eat. No other temptations in the house and no temptations outside the house so that really helps. I’ll be updatingrecipes with Weight Watcher Freestyle Points to make things easier for others that are walking this same road. 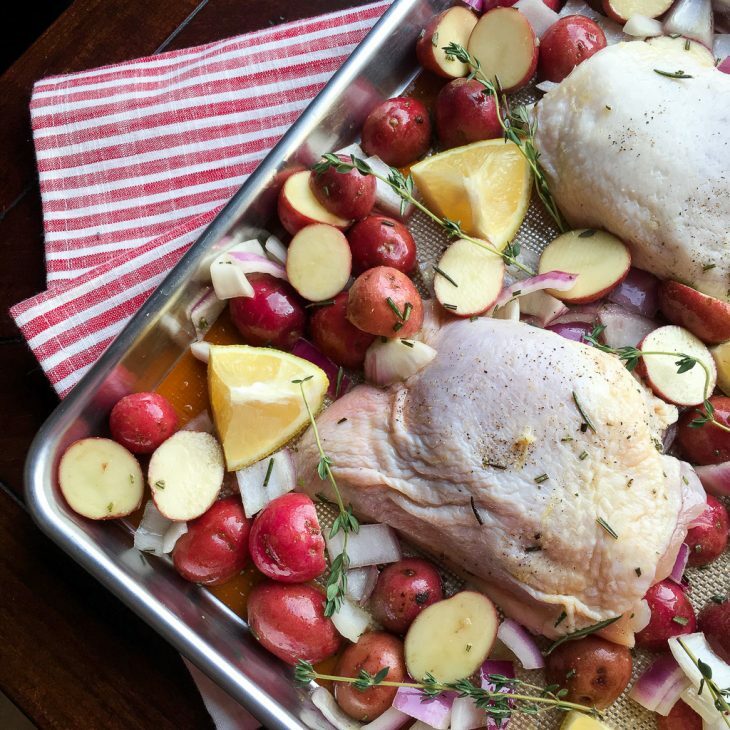 For best results, use a larger three-quarter size sheet pan instead of a standard 13” x 18” half sheet pan for this recipe*. This will allow the vegetables enough room to be spread into a single layer without overcrowding while keeping all ingredients to one single pan. 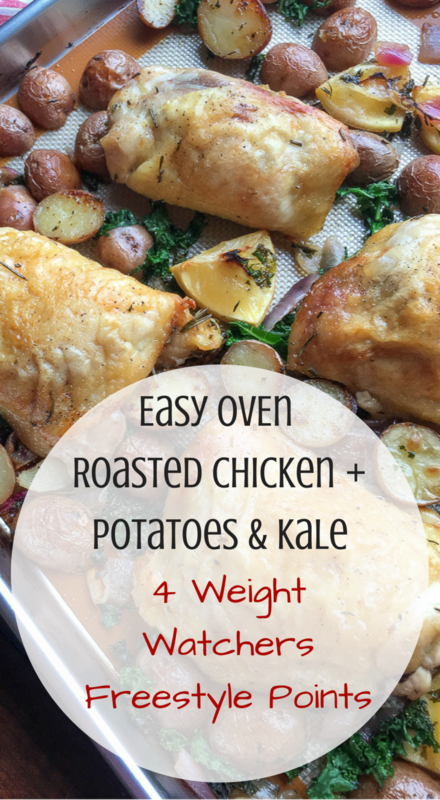 *If you’re making a half recipe you can use the standard 13″x18″ sheet pan. *Note: Always cook meat to temperature, not by time. Actual cooking time will vary based on a number of factors, including internal starting temperature, individual oven variations, size and thickness of the meat, what else is in the oven while cooking, etc.